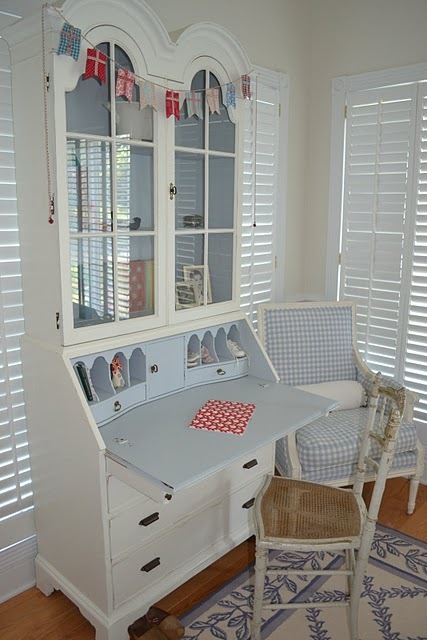 Having my library/office converted into a big girl room for Kirsten means I need to create a new office nook quickly. Having it in the closet was perfect, because when I was in the middle of projects I could close the door on the mess. Now I'm going to be pulling my desk/office area into a public area of the house and will have to keep it neat. I have a spot for it, but I have no furniture for it. The beauty of the closet was I put a laminated board up on 1x2's screwed into the studs of the closet wall and voila desktop and super cheap too! Now, I need a physical piece of furniture and I don't have months to leisurely peruse antique stores and auction sales and yard sales until I find the perfect piece. 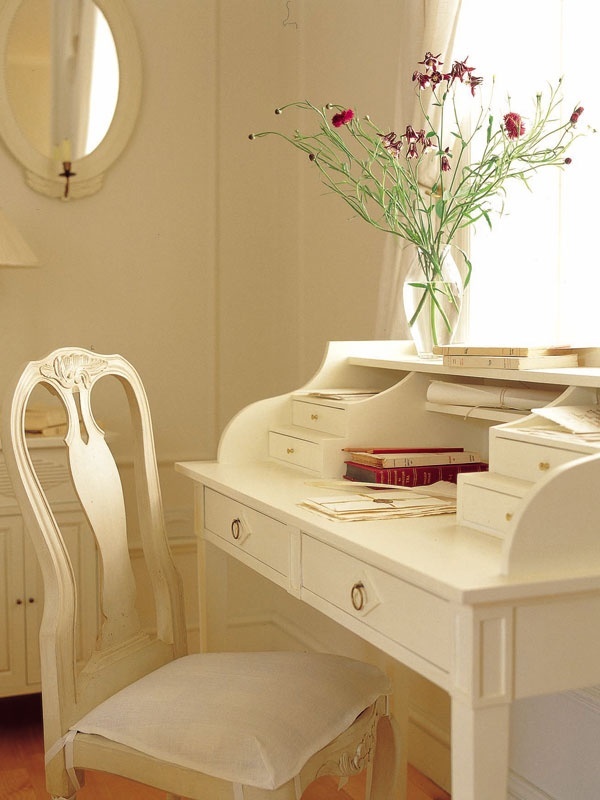 I love the look of this desk, but I need storage or it'll just become one big hot spot for papers and odds and ends. 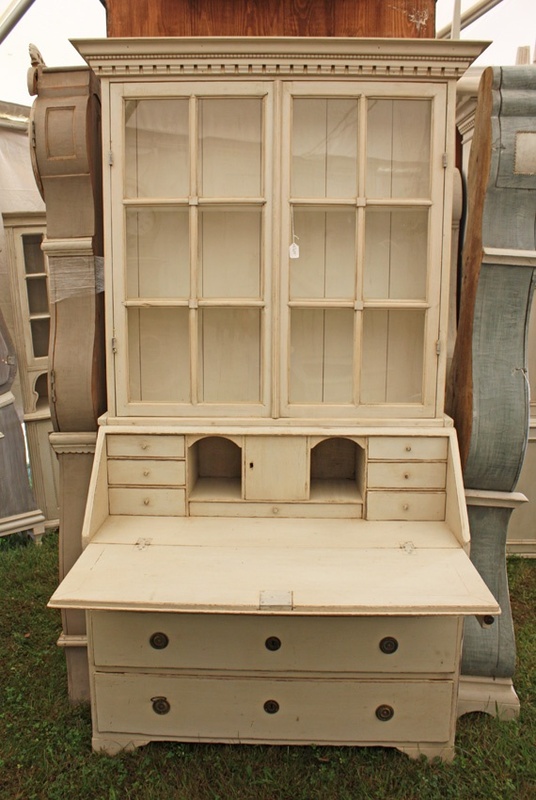 This one is pretty too, but it has the same issues, and I won't have a room to put additional storage. It will have to be somewhat self-contained. 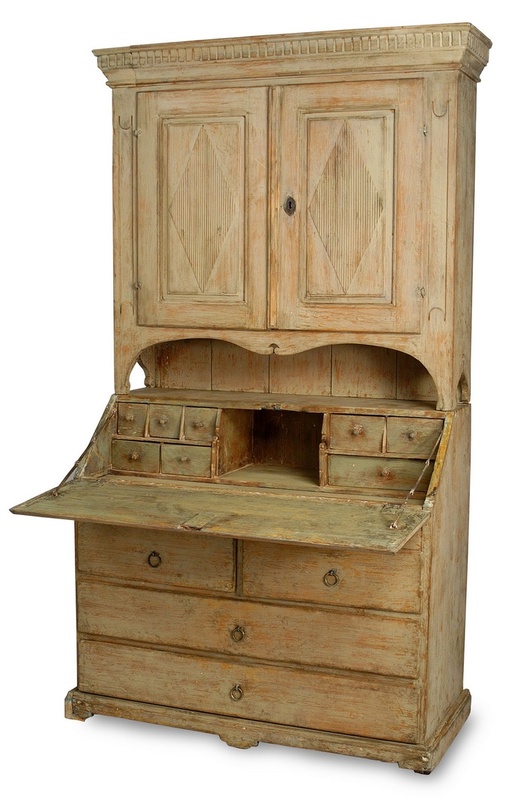 I'm looking for a secretary or a roll-top, something that I can close on tiny messes, if not larger ones. 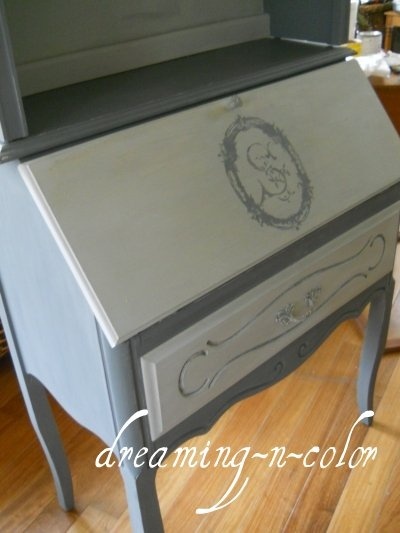 I've been lusting after Swedish secretary desks for a while now, little did I know I should have been actively searching. My mother has a gorgeous Danish midcentury secretary that I used to use as my desk in high school. I loved that desk! It had a little door and a top drawer that I could LOCK! Isn't that a dream come true for every teenage girl with a diary, teenager girl with younger sibling, or just every teenage girl?? ?